While TheFreshMusicPage.com is no stranger to hip hop artist(s), it's only on a rare occasion that they are featured. 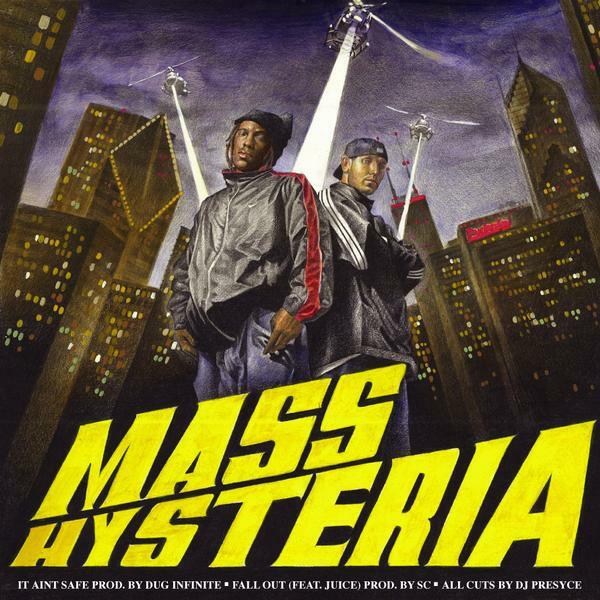 With that said check out this two man group Mass Hysteria. I'm kind of feeling their newest single "So Amazing". Nice old school samples and an extremely funny video. I would be open to more of their music. Mass Hysteria features Emcees Mike Treese and Gee-Field, backed up by DJ Presyce, DJ Noble, GQ the Teacha, and Produced by SC. Damn was that many DJ's needed? I guess with a million samples that one song contains the answer is yes. Anyway check these Windy City guys out.